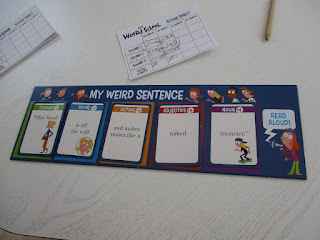 All elementary school age kids love the My Weird School books by Dan Gutman. And they will have a blast with the brand new, first My Weird School Game - Miss Bernard is a Wild Card. When the game arrived my 8 year old grandson could not wait to play it and we both couldn’t stop laughing as we played. 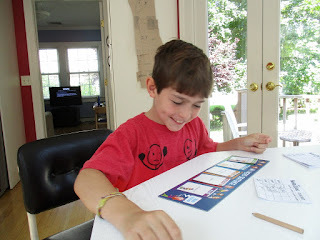 It is fun, funny, and educational - all wrapped up in one package. And... 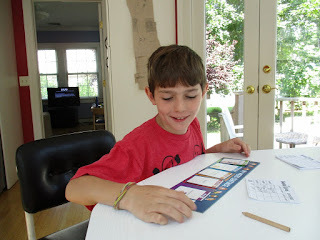 I am so excited to be offering one of the games as a giveaway. The entry is easy - see the details at the end of the review. 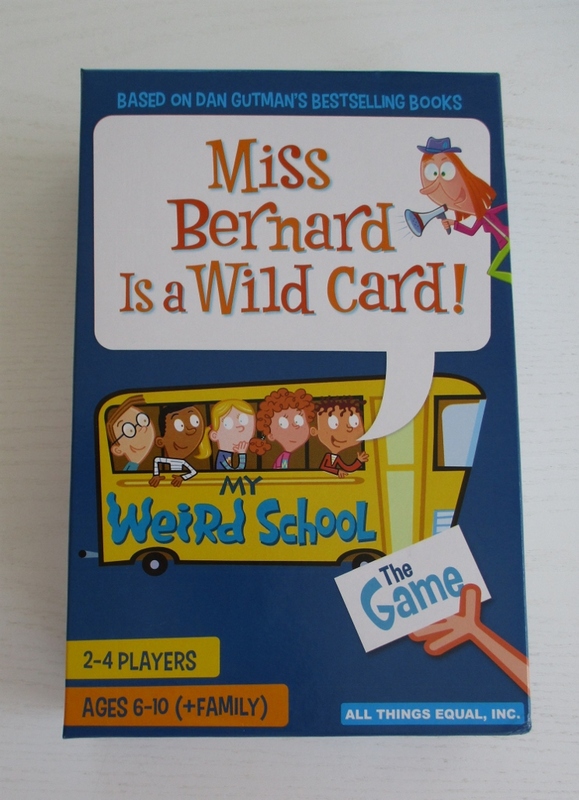 There are My Weird School teacher character, rhyming, action, adjective and noun cards plus Miss Bernard wild cards. The wild cards give it that spin with ever changing possibilities. 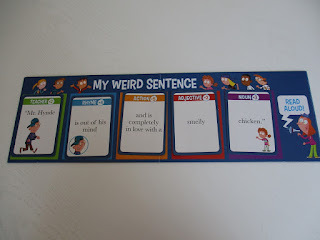 Each player has his/her own sentence game board. In turn you draw from the deck of cards and try to complete sentences on your individual game board. 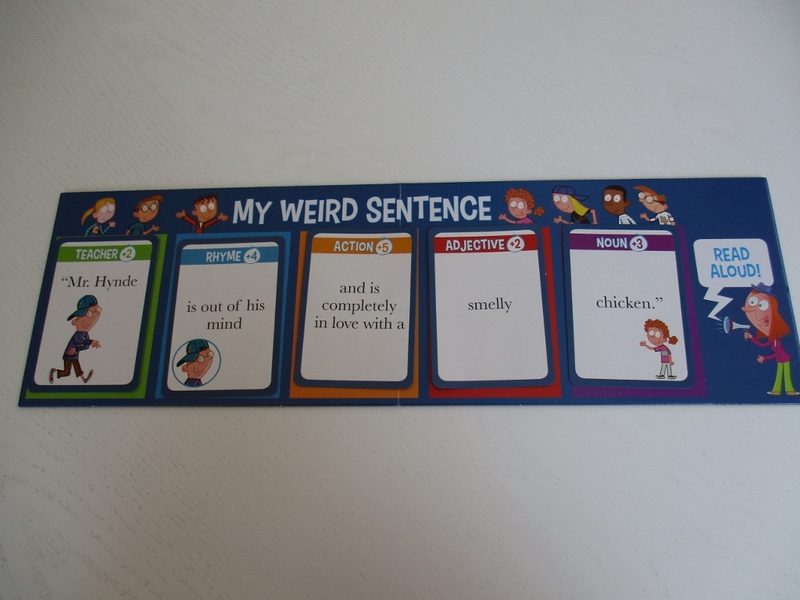 You can start out easy by just completing sentences or play an advanced version. Every sentence is hilarious. The pictures above show one of my grandson’s sentences and one of mine. Notice the number in the color bar on top. 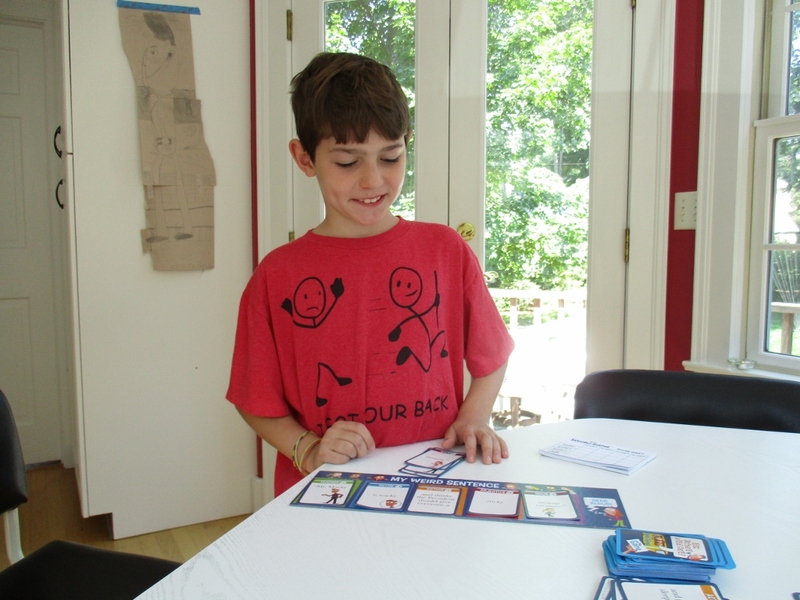 The cards have different point values but you can play with or without assessing points. We started out just to see who could complete a sentence first and then we advanced to counting points. 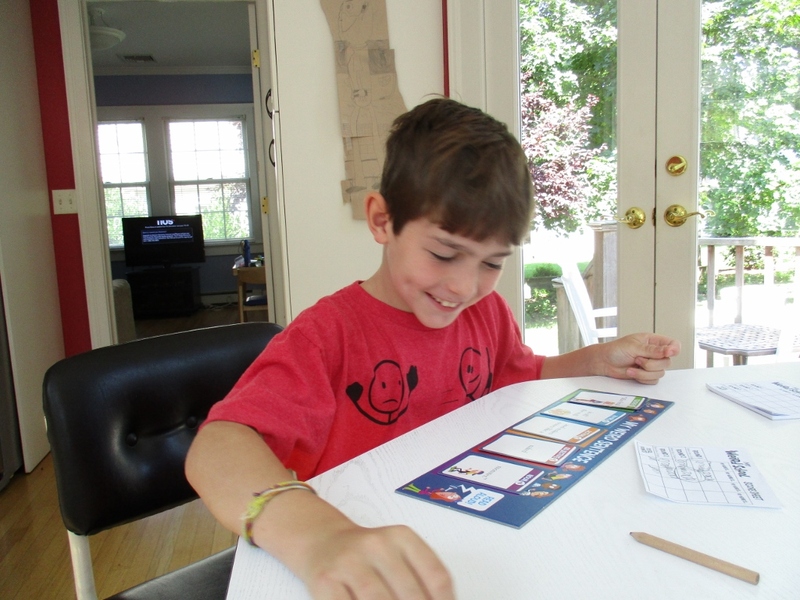 In addition to laughing out loud, the game develops math, reading and strategic thinking skills. It is a perfect grandparent/grandchild game to play with elementary school age children. You will be the cool grandparent who knows about the Weird School books if you get this game. 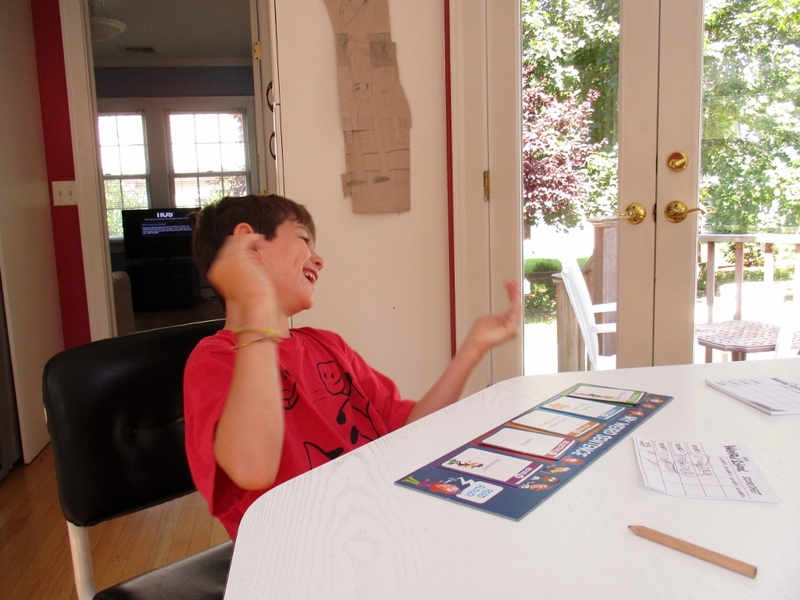 My grandson and I laughed our way through playing game after game. A picture is worth a thousand words. Here are a few that tell all about how we enjoyed the game. My Weird School Game is hot off the presses and it is already winning awards. It just won a 2017 GAME OF THE YEAR award in the Educational Reading Skills Games category by Creative Child Magazine and I bet there are more to come. 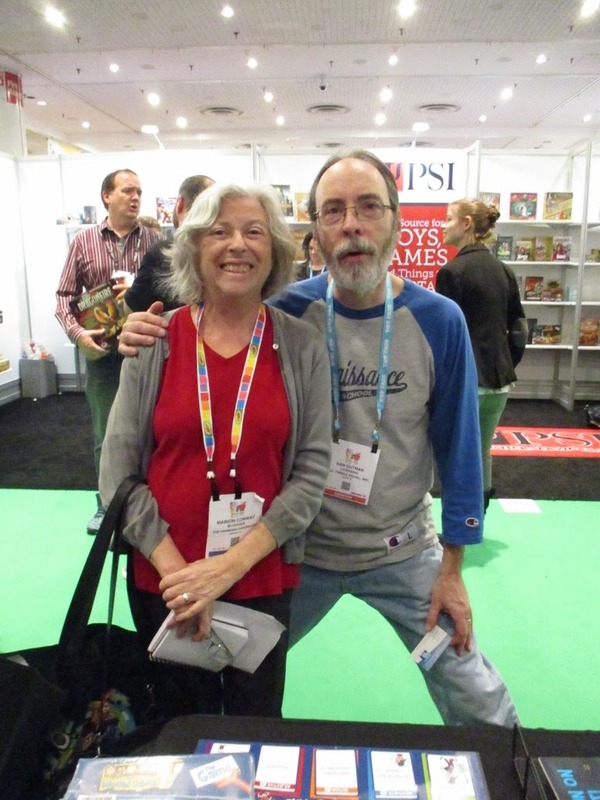 At my very last stop at Toy Fair in February when I could barely stand up, I made a command visit to the All Things Equal, Inc booth and met author Dan Gutman in person. My daughter had seen on facebook that the game was coming out and she asked me to look for it at Toy Fair. Here I am with Dan. I impressed my grandson more with this picture that the one of me with the ghostbusters. Thanks All Things Equal for providing me with a review copy of the game plus one to giveaway. This review is solely my own opinion I did not receive any compensation for the review. I did receive a game in order to conduct the review. You can have two entries by doing both. Deadline to enter: August 27, 2017 at midnight. This item can be sent to US addresses only. Looks like a fun game! Here's hoping I win the giveaway! My grandson would love playing this game. My nephew would enjoy this game. As a Gramma to seven boys, I think it looks like a great game! This looks like such a fun game. 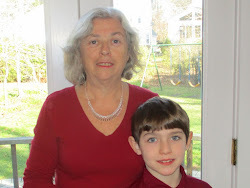 My granddaughter needs a little help in english and I think this game will help a lot. This looks like a fan game to play with the kids.